Learn to speak a language. For real. 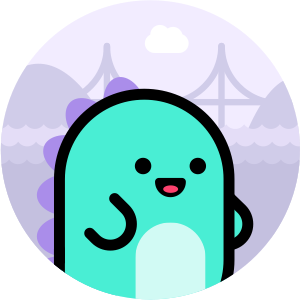 Learn vocabulary and grammar with flashcards, reading and writing exercises, whenever and wherever you like. 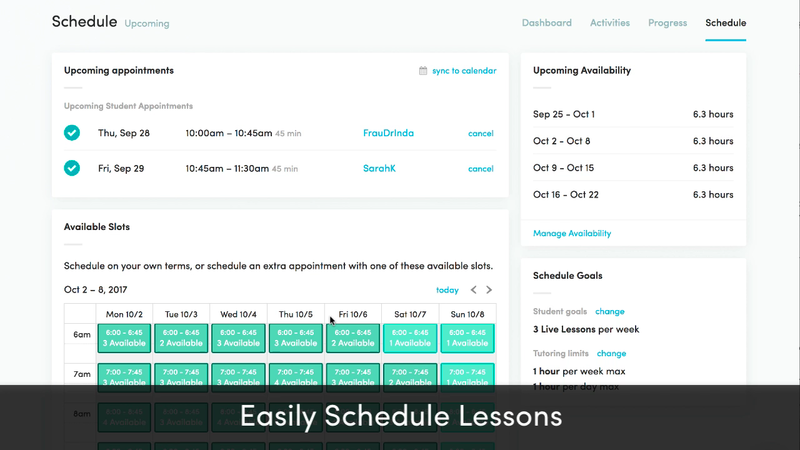 Practice what you’re learning regularly in private, online, one-on-one lessons with a native-speaking tutor. As you study and practice, Chatterbug learns your strengths and weaknesses and customizes the curriculum to help you learn quickly. To learn how to speak a language quickly, you need to get some vocabulary and grammar into your brain. 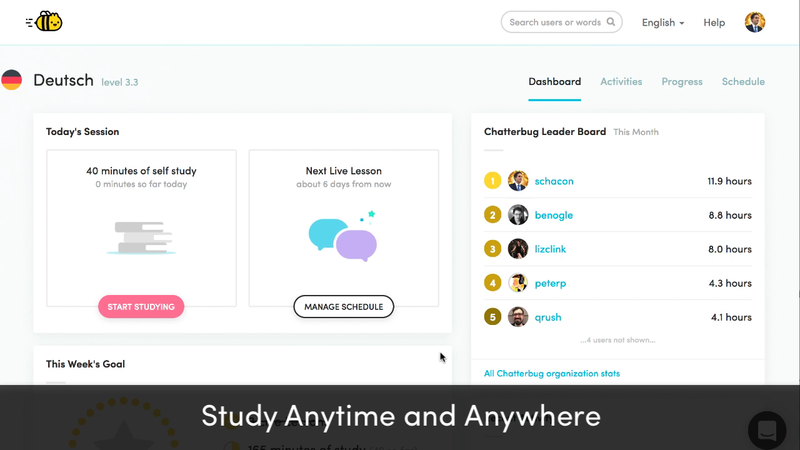 With Chatterbug, you have access to a cutting edge memorization system based on the effective Spaced Repetition learning method. You can easily learn hundreds of words and grammatical points in a matter of weeks. The only way to actually learn how to speak a language is to have regular conversations with a person. Chatterbug makes this easy and fun with our Live Lesson classroom, an interactive and fully automated virtual classroom that you can join from your browser. Chat, type and click through our integrated curriculum, tailored to your learning needs each and every day. 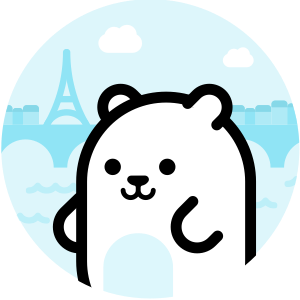 Since both your Live Lessons and self-study are done entirely in our system, we can have our intelligent robot bears constantly make sure that your progress in one area is reinforced in the other. 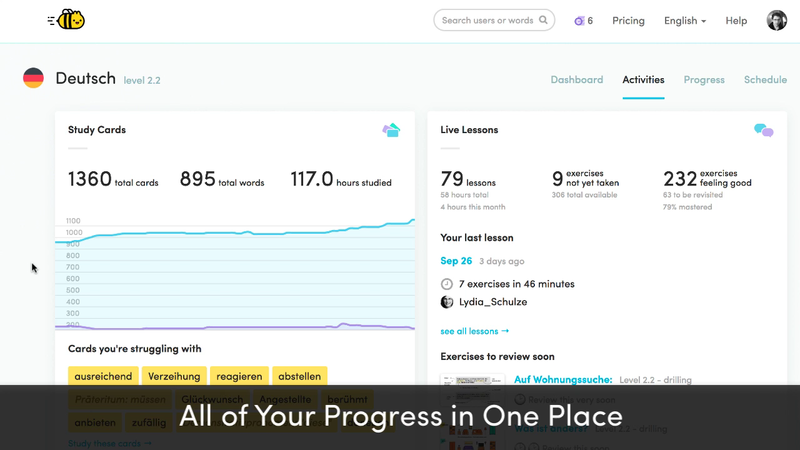 You can also see all of your progress at any time, down to the individual vocabulary words you know and how well you know them. The ultimate tool for the busy professional: self-study and one-on-one video Lessons are available 24 / 7. Students can learn anytime, anywhere. Track the learning progress of all your employees at any time from your organization's dashboard.